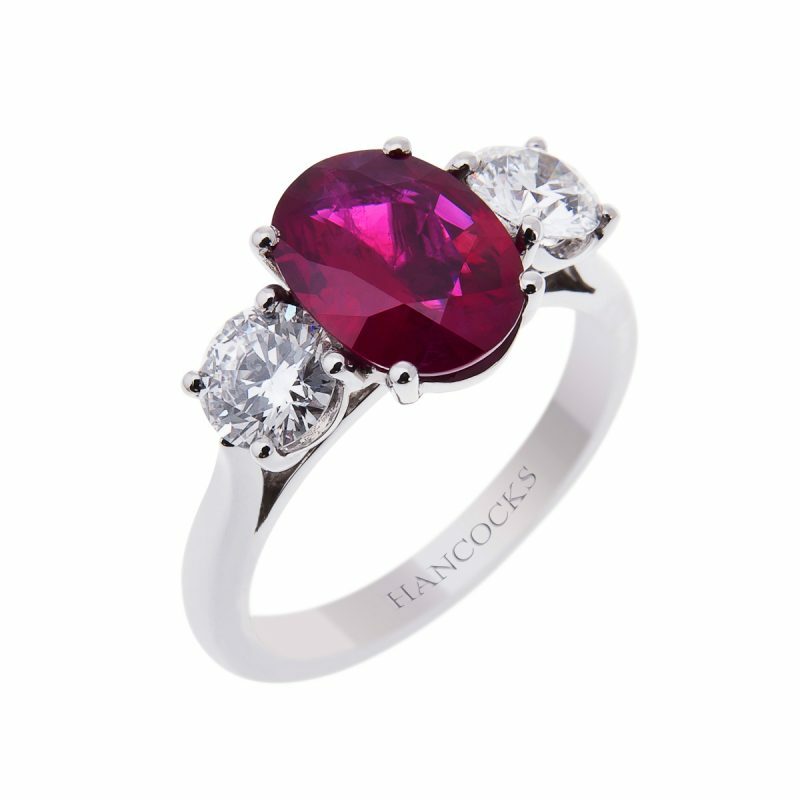 The deep rich red tones of this oval ruby, highlighted by a brilliant cut diamond either side to add a boost of colourful beauty. 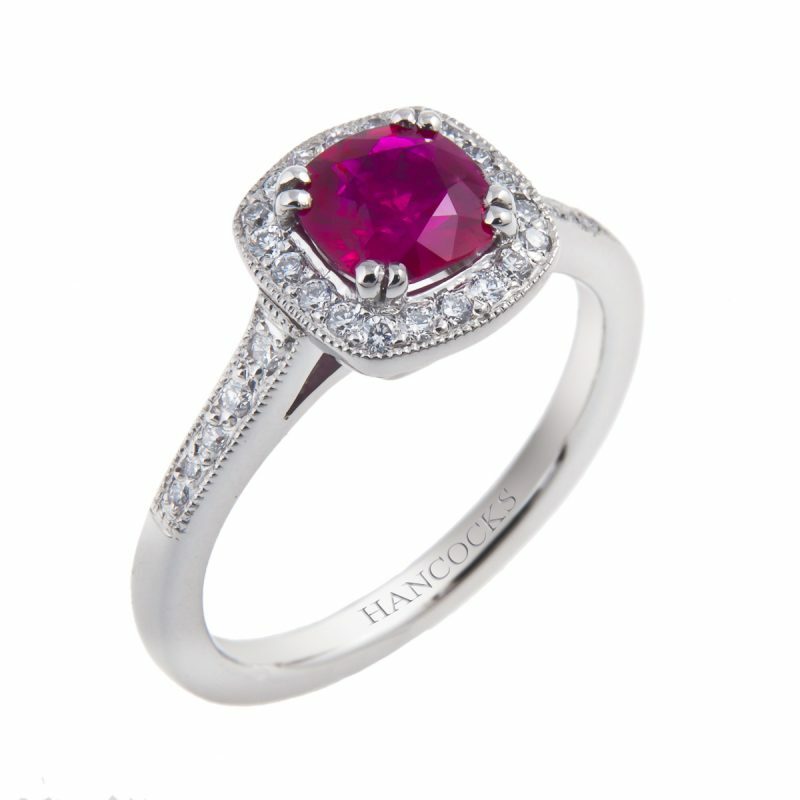 Mounted in a platinum claw setting this 3-stone ring is a timeless treasure. 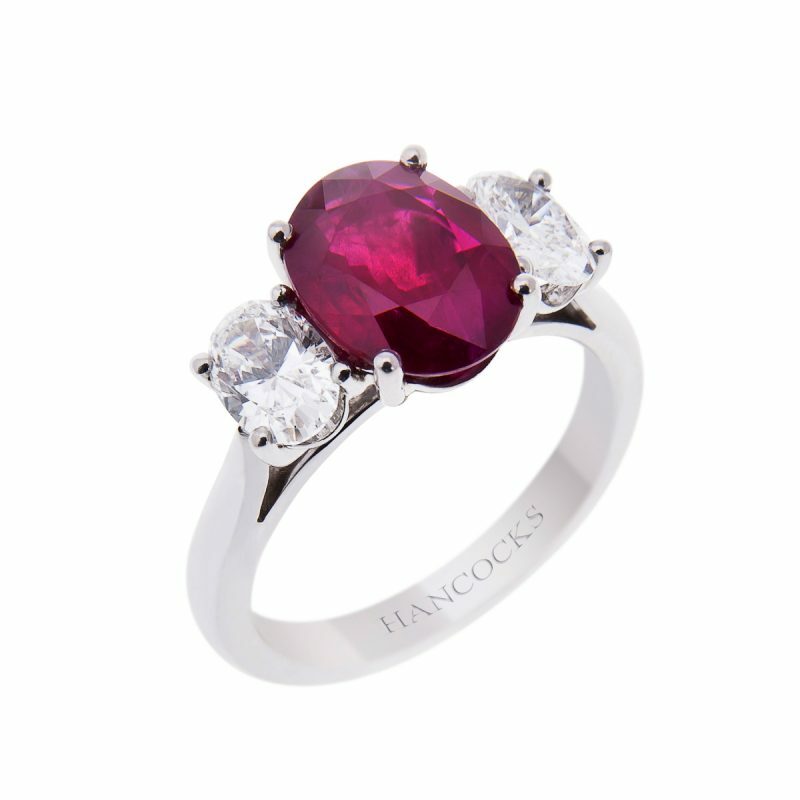 Large, natural rubies that have a fantastic depth of colour, combined with an excellent lustre and clarity are most desirable. 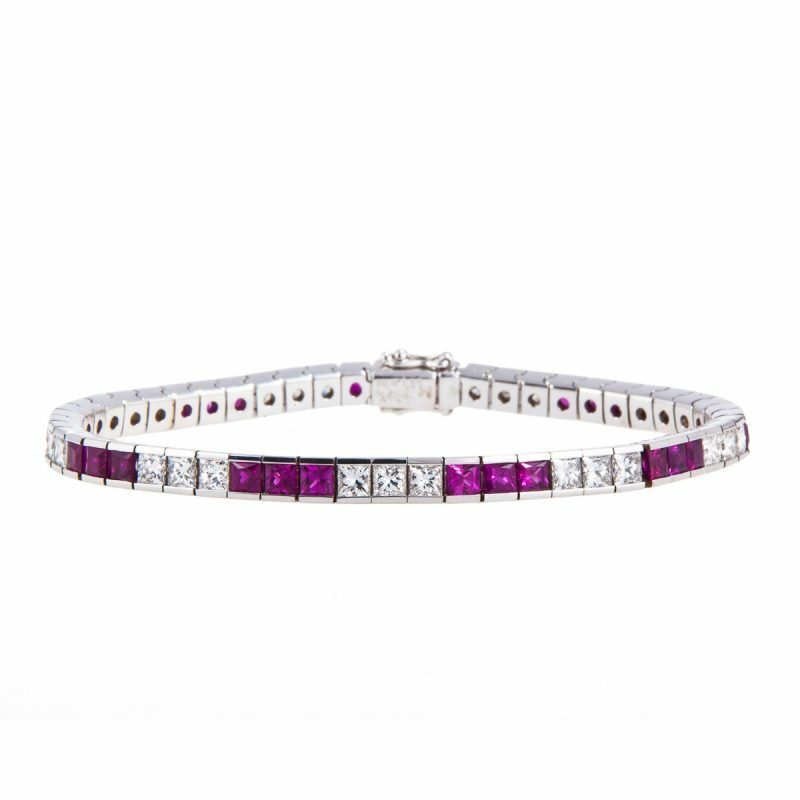 This fantastic example would make the someone special in your life very happy indeed.